Whether you are securing a patent or protecting the rights of your company in court, you need an attorney who is able to understand the technical, legal and business complexities of your case. 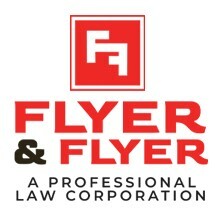 At the Newport Beach law offices of David R. Flyer, PLC, we have been protecting businesses throughout California for more than 30 years. A West Point graduate and former military engineer, attorney David R. Flyer is a highly experienced litigator as well as a licensed patent lawyer. Before you take legal action, you need answers to your questions. We are ready to help you understand the challenges you face and the options you have available. Located in Newport Beach, our offices are open weekdays from 8:00 a.m. to 5:00 p.m., and provide easy access from the I-405, 55, and 73 freeways. Contact us today via e-mail or by calling (949) 622-8444 to schedule an appointment.